Iowa State University’s student chapter of American Society of Agricultural and Biological Engineers (ASABE) would like to reach out to fellow and past agricultural and biological engineers of Iowa State with a once in a life time opportunity! As most of you have heard, the ABE department at Iowa State has moved locations and is now housed in the new Bionrenewables Complex on campus. With this relocation, many of you are also aware that the old residence of the ABE department, Davidson Hall, has been demolished. 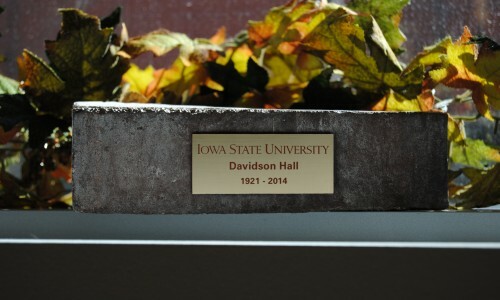 Hundreds of engineers have come and gone within this department over the last 90 years, many of whom called Davidson Hall home at one point in their life. With the hall’s deconstruction, our club wanted to give past “Davidson residents” a chance to cherish those memories. 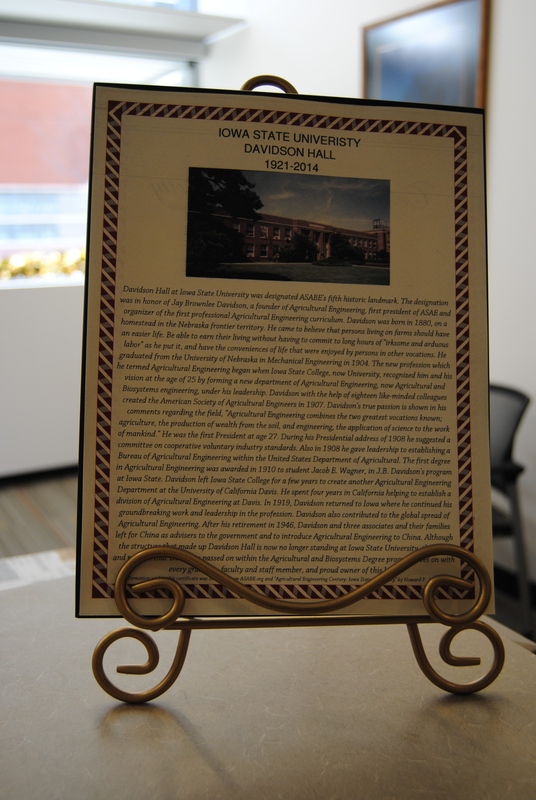 The ASABE student chapter will have memorial Davidson bricks available for purchase. Included in your purchase will be an authentic Davidson Hall brick with engraved plaque and letter of authenticity (photo shown). The assembly and distribution of the bricks will be done by current ASABE members. If you have interest in purchasing a Davidson Hall brick, please fill out the form below. 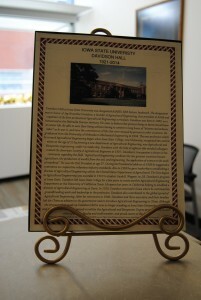 Davidson Hall brick certificate of authenticity. 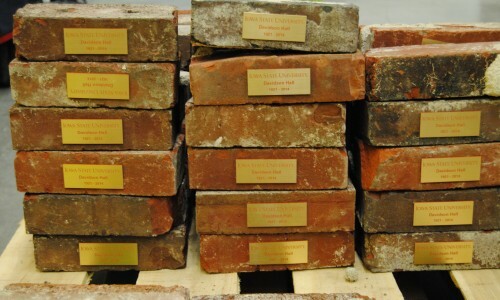 Bricks are currently being assembled on campus and will be available for purchase at the Biorenewable Complex on the Iowa State campus once production starts. There will also be a shipping option for those who are no longer in the area. Once you have filled out the following form, an ASABE club officer will contact you with payment information. Please select your affiliation to the department. Please indicate if you would like to pick up your brick from campus, or would like it delivered. If you have selected to have your brick shipped. Shipping cost not included in brick price. Price for current ABE students. Price for faculty, staff, and alumni.